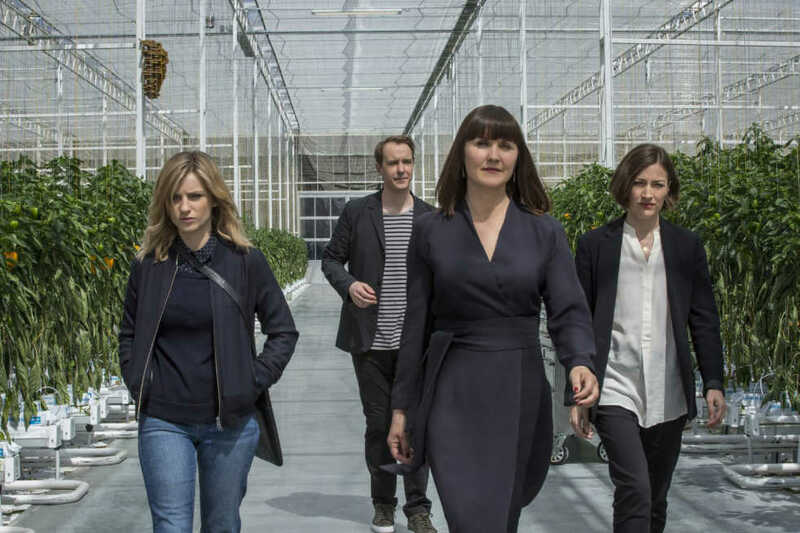 Just in time for a Halloween scare comes Season 3 of “Black Mirror,” released by Netflix on Oct. 21. “Black Mirror” is a British anthology series created by Charlie Brooker. While each episode stands alone, they are connected by the theme of paranoia and unease related to technology that seems to be only moments away from reality. The ominous title refers to how screens look when they are inactive, becoming black mirrors to reflect difficult and sometimes even horrifying truths about the world that humanity and technology will soon inherit. unnerving, triggering fears of anything with an electrical plug or battery. The debate over a proper ranking of the episodes is all over the place — nobody can agree on a favorite because each episode has an entirely different cast, genre, tone, plot and setting. “Nosedive” is about a society where everyone has a public ranking, based on five-star ratings given to one another in social interactions and on social media. These rankings affect social standing, access to services such as renting an apartment or booking a flight, and the self-esteem of individuals being ranked. During the internet outage on the East Coast of the United States on Friday, ironically the day this season was released, “Black Mirror” referred to this episode posting to their Twitter page that “Twitter is no longer available to users below a five-star rating. We apologize for the inconvenience.” “Nosedive” might not be the most innovative social satire of the show, but it strikes a chord and watching Bryce Dallas Howard (“Jurassic World”) descend into insecurity-driven desperation resonates with the viewer. “Playtest” is an occasionally humorous homage to the horror genre about a traveler who volunteers to test a new virtual reality gaming system with a nightmarish and ultimately heartbreaking conclusion. With the recent release of the Playstation VR Headset and the existence 360 degree videos, the nearness of the type of immersive horror experienced by Cooper (Wyatt Russell, “Everybody Wants Some”) seems to be just on the horizon in the future of gaming. Directed by Dan Trachtenberg (“10 Cloverfield Lane”), the core tenants of the horror genre are on full display, along with a timely warning of the danger of ceding control of your senses to the gaming industry. “Shut Up and Dance” tells the panicked tale of a teenager held hostage by hackers after they access his laptop webcam to obtain footage of him pleasuring himself to images on the internet and threaten to send it to all his contacts unless he obeys their commands. Forced to work with others being similarly blackmailed into executing an increasingly complicated series of tasks, Kenny (Alex Lawther, “The Imitation Game”) meets Jerome Flynn (“Game of Thrones”), a man who tried to solicit a prostitute and is concerned his wife will divorce him and take his children if the hackers release the proof. The ending features the very type of stunning, heartbreaking plot twist that “Black Mirror” is known for, leaving the viewer almost too traumatized to keep watching. Ultimately, the episode forces the viewer to question their sympathies and moral beliefs. As Flynn says, “There is no cure for the internet,” as it is used to further base desires when utilized as an extension of humanities’ more villainous selves. After the dark intensity of the first three episodes, many critics and viewers have agreed that “San Junipero” is their favorite episode of the season given the lessening of the heavy-handed self-righteousness the show often invokes. San Junipero is a seaside town that stays consistent throughout time, treating viewers to the changing fashions and technology from the 70’s to modern day and into the future. The beautiful and moving story follows the romance between the awkward Yorkie (Mackenzie Davis, “The F Word”) and vivacious Kelly (Gugu Mbatha-Raw, “Doctor Who”) as they meet in the town in different decades, always “one week later.” While the technology-related twist involves a group often ignored, the elderly, the final scene leaves the viewer wondering about the possibility of virtual life beyond death. While the focus of this episode is on the essential human experience of love, the resulting tears are from a lighter emotion and relief at finally getting a happier ending. “Men Against Fire” is the most political episode of the season and illustrates a frightening future of technology related to military violence. Stripe (Malachi Kirby, “Doctor Who”) is a soldier fighting “roaches,” mutant humans who the soldiers are itching to kill. MASS is a computer eye implant that allows soldiers access to maps and weapons-targeting, and it enhances the skills necessary for military combat. Soldiers are rewarded for war efforts with seductive dreams during their sleep via fantasies which seem pleasing until compared to a stark reality portrayed by the difficult-to-watch final scene. Michael Kelly (“House of Cards”) is perfectly cast as the brutal, cold-hearted head of the program, and the tension of the xenophobia-fueled genocide, remarkably similar to conflicts in the world today, is spooky. The final episode, “Hated by the Nation,” is a police procedural drama tackling the continuous theme of online shaming. In a society where bees have become extinct, replaced by Artificial Drone Insects fulfilling the same role bees used to, celebrities who have come under fire online begin mysteriously dying. Every 24 hours someone is killing the person most hashtagged with #DeathTo, and in trying to apprehend the culprit, the investigating parties inadvertently set off a brilliant, terrifying twist which highlights the consequences of what individuals say and do on the internet. While much of the show seems to be a warning, Brooker, in an interview with The A.V. Club, says this is not the case. He is a user of technology himself and says that, “because we have that acceptance of technology as being a miracle worker, it means that it takes the place of the supernatural in our stories.” “Black Mirror” seasons one through three are also available on Netflix.